Hey guys! 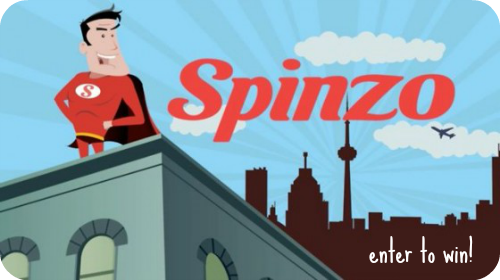 I want to tell you a little about Spinzo, a new company that has re-imagined the ‘group deal’ phenomenon that hit its saturation point some time ago. The point of Spinzo is not to be just another group buying company. We have a bold vision where prices for products/services/tickets are based on demand. What a shame it would be for a small music venue with 100 seats to only be half full with a price point of $20. Perhaps, it would have been full at a $12 price point. Spinzo allows businesses to do just that without lowering the price outright, and instead only doing so when certain volume is reached. Everyone pays the same final price. Consumers in theory get better and more affordable access to great experiences and the ability to choose their price. And that for me, is the big reason why I’m happy to partner up with them and offer you guys giveaways via Spinzo on an ongoing basis. I completely agree that ticket prices are sometimes out of reach for the average consumer, especially those like me, who like to go to shows regularly. We are young, in the midst of unparalleled youth unemployment, and the money just isn’t there. It goes back to that post about Black Francis lowering ticket prices for those under 30. If you want to go to Postal Service, but spending $50 means eating ramen noodles for a week, you’re probably gonna decide to make eating real food the priority. You can always see Postal Service when they reunite again in 10 years, right? BUT, if promoters and venues get on board with Spinzo, it’s a win win for everyone. Postal Service could have been full instead of half empty, and everyone who wanted to see the show would have been able to set their price and go, if enough people also bought a ticket. Such a cool idea that could really empower music fans. With all that said, we are starting with a giveaway for a free phone Gelaskin, which I had the chance to try first. I was super impressed with the ability to custom design my phone’s skin, and that chalk drawing you see above of my dog, Mr Bojangles, is now on my phone #brandingeverywhereftw. Musicians, get your bands logo on your phone so you can fulfill music biz 101: Always Be Promotin. 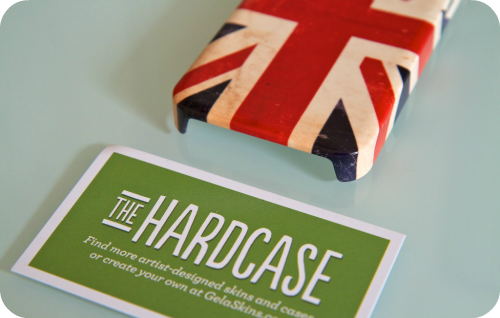 Don’t worry if you don’t have an iPhone (I sure don’t), you can get the non hardcase skins for almost any smartphone on the market, and if you don’t want to design your own, they have a plethora of beautiful designs already available. 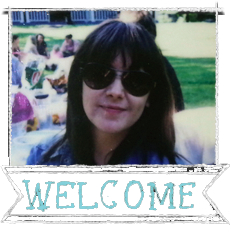 To win, just subscribe to the blog via that little sidebar widget where it asks for your email. You must click the confirmation link you will receive in your email in order to actually be entered. If you are already on the list you are awesome, and are already entered to win this and all future Spinzo giveaways. Facebook fans can also get an extra entry by liking or sharing my status about this giveaway. Contest closes on June 27th and the winner will be contacted via the email address they used to subscribe.